Though Toynbee included 12 volumes in him monumental “A Study of History” panorama, in many ways it was volume 10 that should serve as a fitting conclusion. It only has about 150 pages of straight text with a few appendices and a long and needed index to the previous nine volumes, but these few pages reveal a lot about Toynbee personally, as well as his philosophy of history. If I said that this volume serves as a “defense” of his ideas that might give the impression that the book has a didactic tone. Part of the charm of this volume for me, however, is that here Toynbee “let’s himself go” and speaks with passion from “the heart.” But rest assured the book contains Toynbee’s patented magic, as even in the first few pages we see him seamlessly weave in his grand view of history with personal recollections and observations about changes in women’s headgear in Victorian England and its similarities to fashion in Turkey during the 1920’s. I can understand people disagreeing with aspects of Toynbee’s system. But forget his system — doesn’t this sound like fun? His main arguments. . .
A historian’s proper vocation (as is the case in other vocations) is to receive and act on a call from God, to “feel after Him and find Him” (Acts 17:27). There are as many “angles of vision” as exist proper vocations. Historians have no monopoly on this vocation, nor any greater vision per se. But, he has a task nonetheless. Given that each historian should have a spiritual calling, a good historian is accountable in his studies to God and His mission. Since God aims to unite all of humanity under Him, the historian should attempt to unite various fields of inquiry and present them to the public. The specialist’s field of inquiry has value, but it is the historian’s calling to put his gains into the broader stream of human knowledge. He must give life to dead facts by interpreting them in a larger context, for knowledge is never knowledge for its own sake. The “muse” that calls us to investigation in the first place also calls us to use our knowledge to put humanity in a better position to know God. His admiration for Heinrich Schliemann sticks out noticeably here. Of all the historians Toynbee admires here (Polybius, Herodotus, and St. Augustine, among them) none of them could be called “professionals.” But he devotes the most ink to Schliemann, the ultimate amateur. The reasons for this seeming curiosity point to Toynbee’s larger theory about the nature of history. Toynbee uses the word “muse” here, but not quite in in a colloquial way, but in fact, in a near literal sense. For him, the historian’s primary impulse is ultimately spiritual. He follows the Muse, the Spirit, as He/It leads. The muses, of course, did not deal with scribes recording tax records, but for those who wrote poetry. True historical awareness will therefore take poetic form. Just as love poetry gives expression beyond words, so historians should give expression to reality beyond the mere recording of facts. Surely in Schliemann then, we find a man “inspired.” He can truly claim to have founded the modern discipline of archeology. He discovered Troy (with a great deal of uncredited help from Frank Calvert) and Mycenae, and the professionals who followed him almost to a man disdained his work. Toynbee neglects to deal with Schliemann’s checkered personal life or his professional errors, but this makes sense. 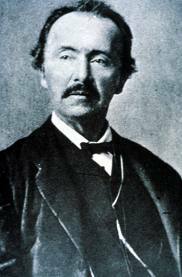 For Toynbee, what really counts with Schliemann is his inspiration to make the past come alive. Finally, towards the end of the book Toynbee sheds light on his religious views. He does the same thing in a more straightforward and polemical way in Experiences, which he wrote about a decade after this, and his views did not change from this volume until then. I do not agree with his final conclusion in either book, but here his views make more sense to me in the context offered. That is, I can see how much his “heart” was in his views. Human nature has uniformity throughout history, and this fact must be accepted if history has any meaning. Ultimate reality is spiritual reality, and that spiritual reality is Love. Love expresses itself not in formulas or syllogisms, but in action, hence the historian’s call to action. So far so good, but alas, he takes these truths and misapplies them. He rejects all religious dogma, for dogma has nothing of “action” in it (according to him). Creedal statements for Toynbee smack of the professional, ivory tower scribbler. But the common man, the man of action knows that God exists, knows that he is loving, and knows that this is all anyone needs. Any claim to truth beyond this is a claim of omniscience, an attempt to divide rather than unite mankind. Chesterton is mostly, though not absolutely correct in this. I would add what C.S. Lewis said, that he would not have believed in Christianity unless it professed some similarities with other religions. As he came to see it, given the world that God made, how could one not find something true? But Chesterton’s point has validity when it comes to Toynbee. I would have loved to ask him a few questions (actually, if I ever had the chance I would probably have been scared silly to ask Toynbee questions, but I will nonetheless live out my fantasy here). You rightly state, Honorable Professor, that love is not love unless directed towards a certain end, unless it has action. What then, is the action of the love of God that you speak of? It must have a context, something definite in mind to which it is directed. If love needs action, the action must take a definite form. It cannot remain platonically amorphous in the ether. Would this not then result in the need for “dogma?” Dogma then would serve love, or at least make love possible, instead of detracting from it. This path would, of course, end of giving a a more pointed particularity to the truth you seek. Despite the disagreement, I’m still charmed by this work, for it serves as a mighty sword thrust for making historians accountable to something larger than themselves and their narrow disciplines. I never quite understood the only book I ever tried to read by acclaimed security expert Edward Luttwak, but I found his take on the improbable survival of the North Korean regime enlightening. For those who want the short version, he argues that the root of the problem has a lot to do with South Korea acting as an enabler of the North. Among his points. . . The South has acted as a primary enabler, through payoffs, work programs, etc. The South enables the North also through a failure to realistically face the North militarily. Meanwhile, South Korea has matched the North’s bellicosity with its own strategic perversity: It remains obsessed with an utterly unthreatening Japan and has been purchasing air power to contend with imagined threats from Tokyo as opposed to the real ones just north of the demilitarized zone. Seoul is simply unwilling to acquire military strength to match its vastly superior economy. Instead, it spends billions of dollars to develop its proudly “indigenous” T-50 jet fighters, Surion helicopters, and coastal defense frigates — alternatives for which could be much better, and cheaper, imported from the United States. Meanwhile, gaping holes remain in South Korean defenses (and thus we see the ridiculous spectacle of last-minute scrambling for missing equipment and munitions in the present crisis). And the cycle continues: Because the South allows itself to remain so vulnerable, it cannot react effectively against North Korea’s perpetual threats and periodic attacks. Instead, Seoul checks its bank account and gets ready for the next payoff. Luttwak’s article illumines a great deal of the reality of the North Korean situation, and provides insight that we did not hear during the heat of the crisis. The idea of Japan still looming large in South Korea’s mindset testifies to the longevity and power of cultural memory. It made me wonder, however, if one piece remains missing. If Luttwak is right, we still have to ask the question why South Korea continues to keep North Korea on life support. We might arrive if we think of North and South Korea not as two separate nation-states, but as two brothers of the same family. Families are meant to stay together, and the unnatural separation of North and South Korea after World War II traumatized both sides. But they coped with this situation differently, and South Korea, obviously, is the brother that made good. With their newfound and perhaps unexpected success, the South Koreans would inevitably feel twinges of survivor’s guilt. So, while others just see dangerous choices that need to run its course, South Korea remembers the way it used to be, back before things went awry. They give into the North’s demands maybe because they truly believe North Korea’s reformation is surely just right around the corner. This time, they’ll be good for it, if just for old times sake. I feel for the South, and if I’m right about this sibling analogy, they have my sympathy. But I doubt that, whatever their good intentions, that their actions will pay off. 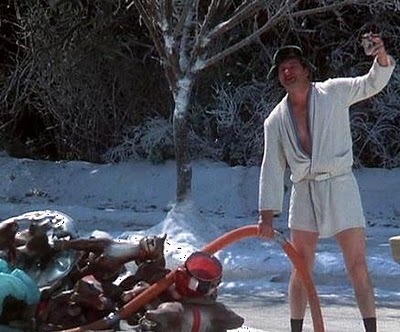 Cousin Eddie, after all, stayed Cousin Eddie no matter how many vacations the Griswold’s took. 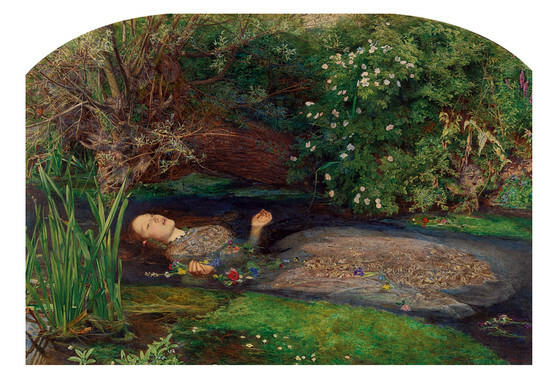 The National Gallery of Art is currently running an exhibit of Pre-Raphaelite art. 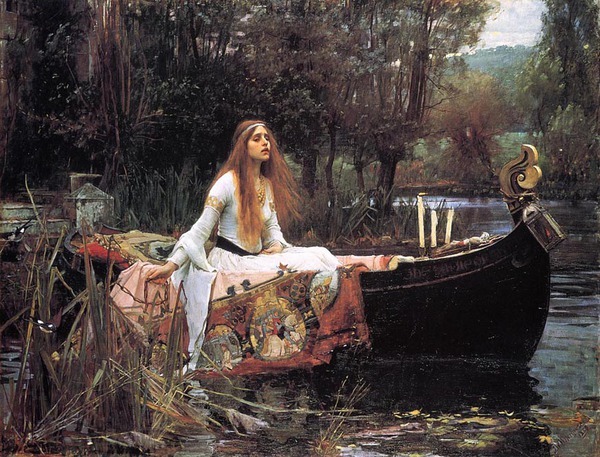 The pre-Raphaelites came into existence in 1848, just at the beginning of the Victorian period. They opposed what they believed to be excessive classicism in art and design, and hoped to revive an appreciation for the Gothic style supplanted by the Renaissance in general, and, according to them, Raphael in particular. I can admire the pre-Raphaelites to an extent. I too believe that the modern west has greatly undervalued the medieval period, including Gothic art. One can better appreciate the era when we realize that the Gothic style was the first time the west departed from the “Classical” style since ca. 500 B.C. The Church developed something distinct and original with Gothic art, which had a playful extravagance and boyish charm. 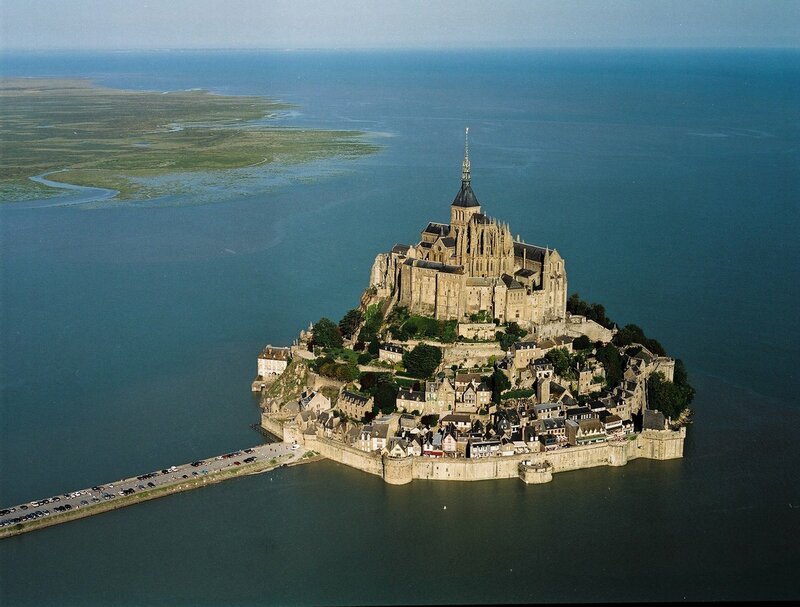 We don’t often think about “playfulness” when we think of a medieval cathedral, but I submit that, for example, the location of Mt. St. Michael’s Cathedral out on the farthest reach of the Norman Coast has a glorious “why not?” quality. 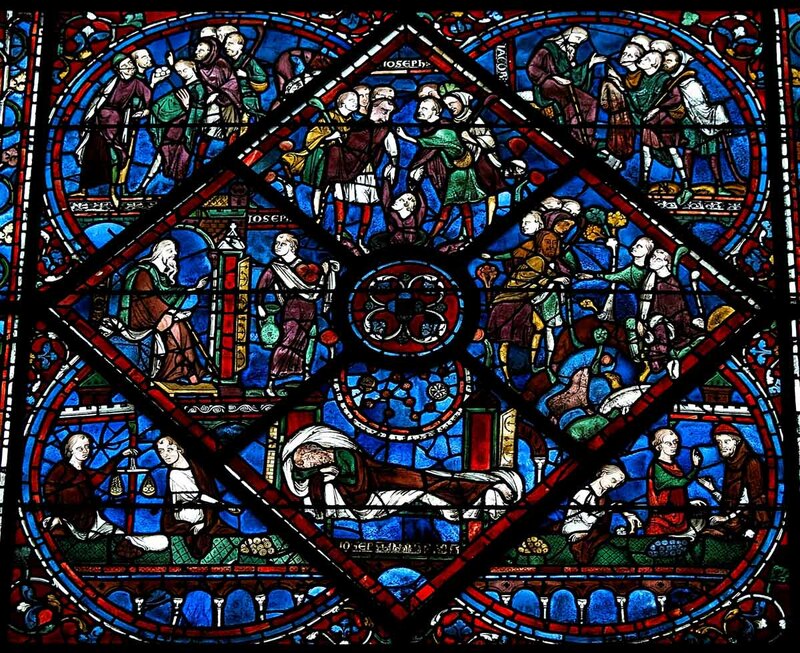 The stained glass celebrated not just an unusual variety of people, shapes, and Biblical themes, but also an extravagant variety of color. It seems that it was primarily this use of bold color that attracted the Pre-Raphaelites. So much then, for the background information. What about the art itself? Does it succeed? Aye caramba! This is just awful stuff, an overdose of schmaltz and sentiment on an unusual scale. Some might argue that their art failed because they were not good artists, but this simply begs the question as to why they lacked talent. They obviously had certain technical skills necessary to create good art. Some might point to the problems within the Victorian era itself, but this would exclude the possibility of any great art in the Victorian era, and Dickens, Van Gogh, and Stravinsky (among others) put that theory to rest. Borrowing from a “dead” form (i.e. civilization, artist, etc.) will mean the calling up of a ghost, which will lead to a sterile act of creation, a stillborn attempt at achieving meaning. 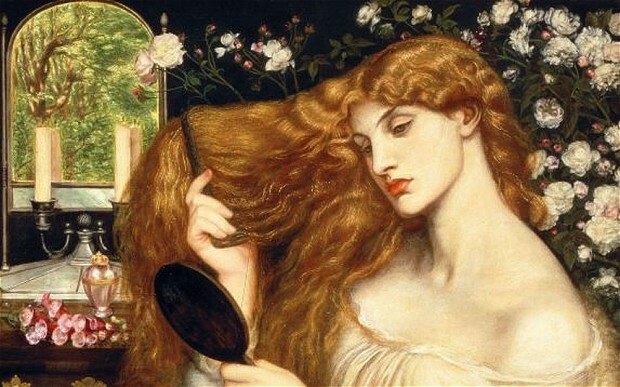 The pre-Raphaelites show all of the characteristics of reviving a dead ghost of a long forgotten form. The “ghost” constricts them, and so they try too hard, and end up producing sterile art that cannot move us in any way. 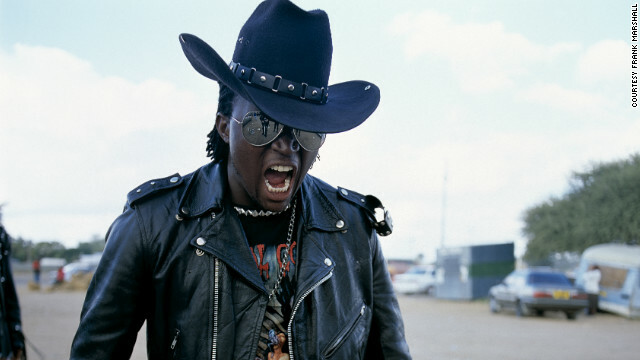 Strange as it may sound, I thought about Toynbee’s theory again when a friend sent me an article about the burgeoning heavy metal scene in, of all places, Botswana. Here we have an example of one people group attempting a birth of something new in their nation not from a dead past, but from a living present. While I have yet to hear any music, these pictures may give us a clue as to whether or not they will succeed. 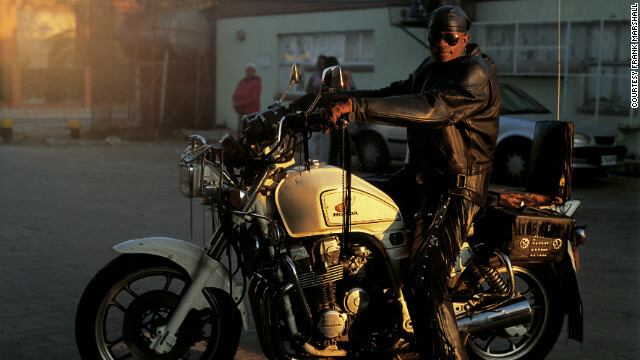 Ok, perhaps we see a bit of rote copying in terms of the motorcycle and the leather, but still, who wouldn’t want to be that guy? 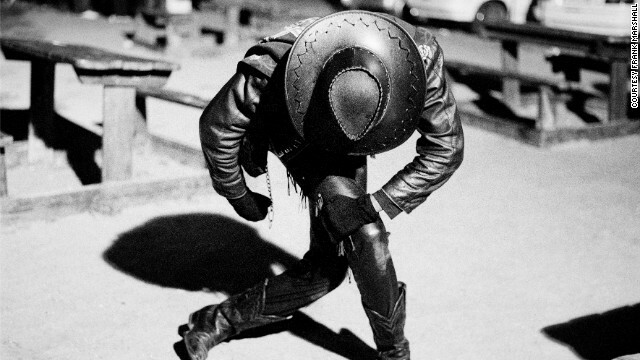 Again, the leather is “pretty standard,” but the cowboy hat is very cool, and he pulls it off. No way western metal heroes like James Hetfield or Bruce Dickinson could ever pull off such a graceful yet arresting pose. I look at this guy and think “Super-Hero,” and again, I love the hat. 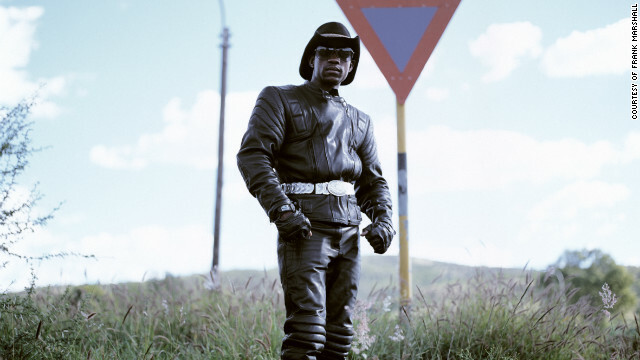 Without hearing any music, I am encouraged and intrigued by the possibilities in Botswana. Sure, they borrow some metal conventions from the west, but they also seem to be putting a distinctly African stamp at least upon their image. One senses vibrancy here, whereas all the color in the world cannot take away the dead feeling I get while looking at the pre-Raphaelites. All this proves once again, beware of the influence of a dead past. On Netflix “View Instantly” one can watch one of their patented atypical documentaries about the font Helvetica. One might think that a documentary about a font wouldn’t have much legs, but it held my attention throughout. Whenever you have some people only half-jokingly blaming Helvetica for both the Vietnam and Iraqi wars, and others praising the font as one of the best forums for spreading equality and democracy everywhere, and you have a good subject for a documentary. You will likely not see the world quite in the same way after viewing this film. I don’t like Helvetica, but can appreciate its effectiveness. In extended text, Helvetica leaves me cold, or perhaps more accurately, leaves me standing still. I don’t feel any sense of life or motion in Helvetica. Reading a paragraph in Helvetica can be exhausting. But one can understand why it has such wide usage for signs and advertisements. I find that it does have the effect of rooting someone to the ground, making them stand still, and read. To learn about Helvetica is also to understand the debate surrounding Apple as well. Helvetica, with its minimalism, modernism, and “accessibility” conveys the exact “brand” Apple seeks. Apple products are simple, easy to use, and designed with a minimalist aesthetic, just like Helvetica. So it makes perfect sense that Helvetica would be the default for their “Pages” program. But Helvetica has no motion in it. And like Apple, one could describe the font as a “closed,” or “immobile” system. What would Lewis Mumford think of Helvetica? 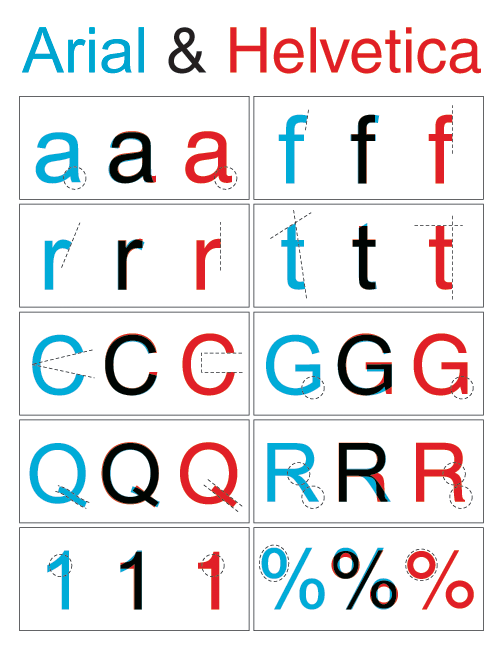 In another example of how art imitates life, Microsoft developed the font “Arial” to compete with Helvetica, with almost every graphic designer agreeing that Arial cannot hold a candle to Helvetica. This diagram may not show that very effectively, but look at the difference, for example, on the capital “Q’s” (the stem is too long in Arial) and the capital “R’s” (Arial’s “R” looks awkward and stiff). All in all, there is certainly more to fonts than we might suppose. They work their white/black magic upon us without us really being aware of exactly how its done.